This view is breathtaking. 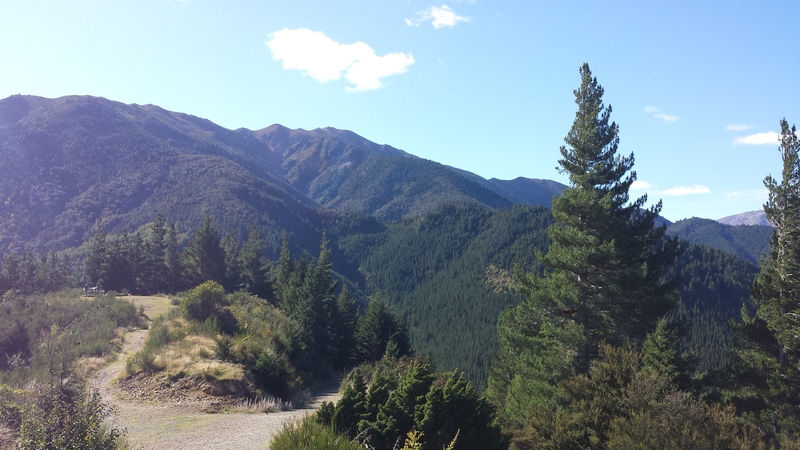 It can be hiked in about an hour round trip, but we took it as a leisurely stroll for an wonderful afternoon. The first hundred meters or so are quite steep, but after that it switchbacks until the top, so it’s a reasonable hike for anyone of any age. There are cute little (poisionous) red and white spotted toadstools, and the pine forest is alive with tiny birds. 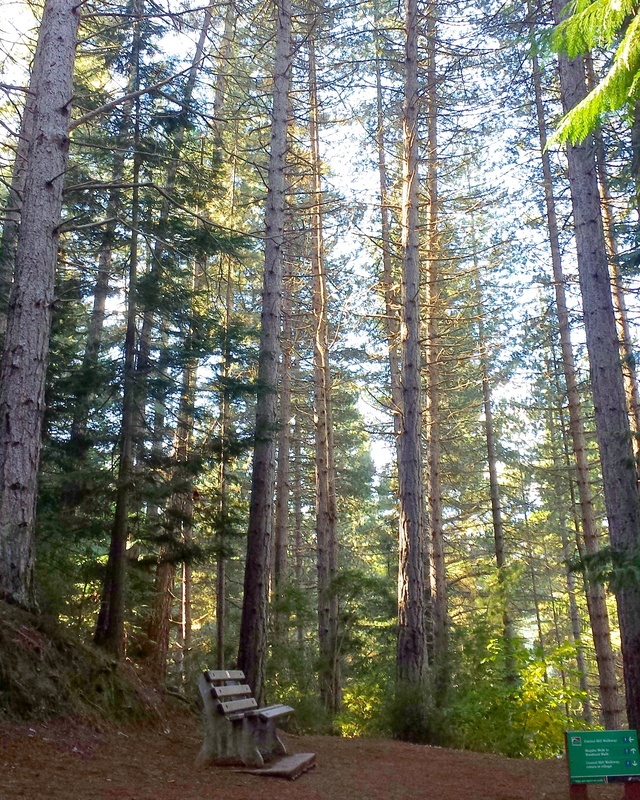 There’s a picnic table at the top.The view from the top is spectacular. 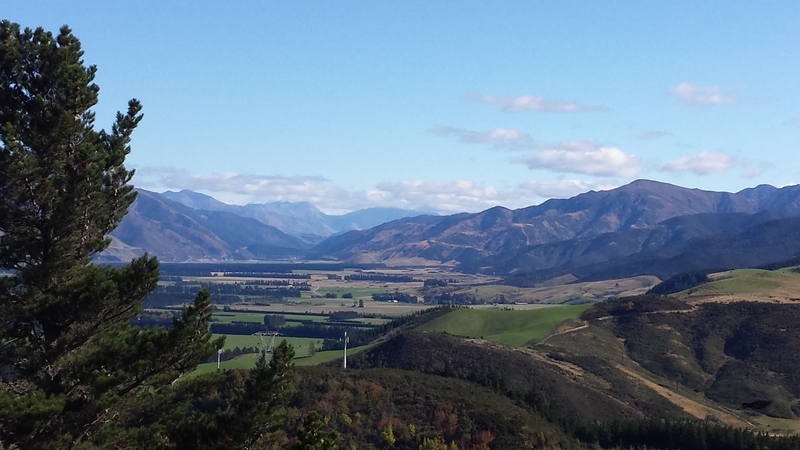 It’s 360 degree views of the Canterbury plains and we saw them in their autumnal glory- reds, ambers, yellows. The air is crisp and the trees whisper through the silence. 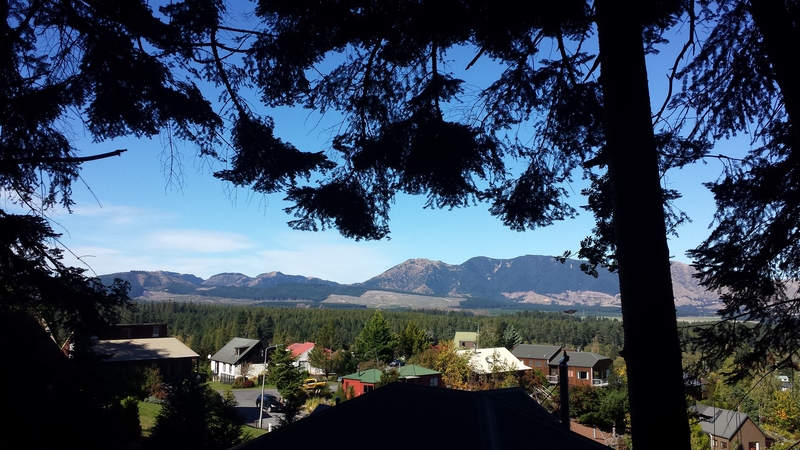 This walk is a wonderful short break from reality, a chance to get back to nature. 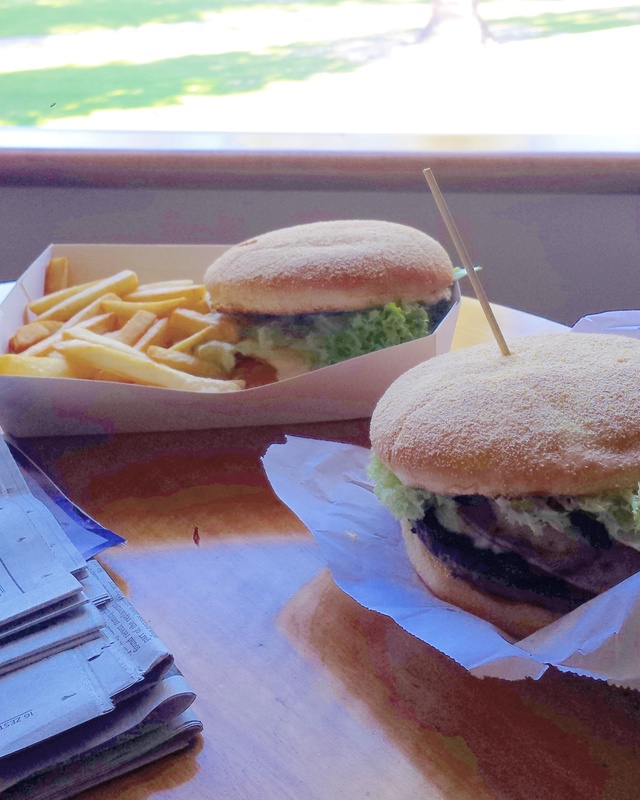 This small burger and fish & chips hut is a dine-at for all travelers through Hanmer Springs. 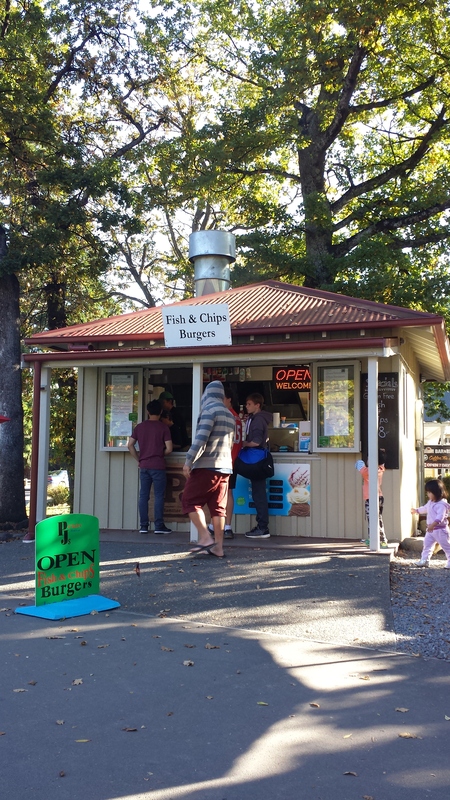 The prices are great value for hungry hikers, and they serve hordes of youth and families. The chicken burger is as big as your whole extended hand and is truly a satisfying feed with bacon, cranberry, cheese, salad and a schnitty. It’s excellent value for money and really hits the spot after some hard physical bushwalking up in the hills. It seems like a family-run business. I was served by a father/son power team and the dad was so kind, accommodating and hospitable to the customers. Totally recommend this for burgers and chips.